2019 – Votes for Women! 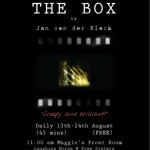 The Box has been produced a number of times, including a successful run at the Edinburgh Fringe in 2014, and a re-working at Camden Etcetera in November 2015. 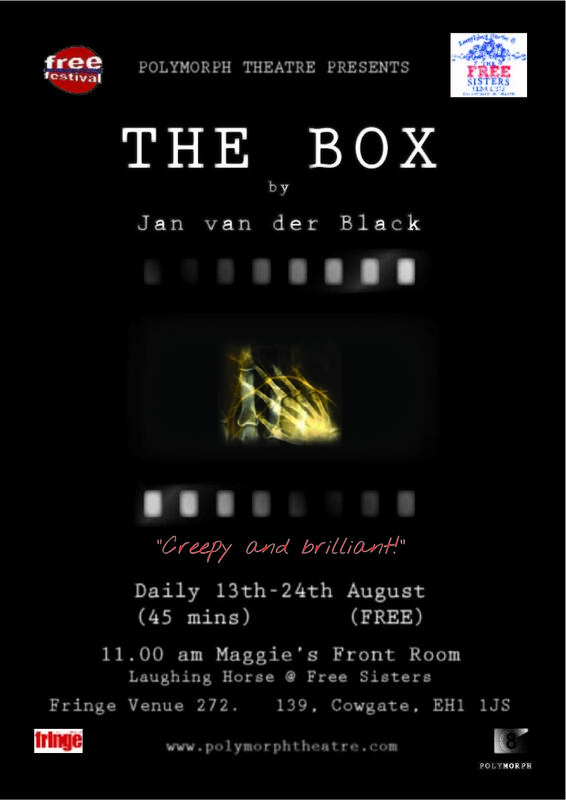 This short play runs approximately 45 minutes and is eminently suited to Fringe Theatre. Minimal set & lighting required, could be upscaled. Basic lighting, no other tech required. Jill is now a convicted killer, after discovering an intruder in her flat. She has been remanded for psychiatric reports, which will be prepared by therapist Laura. As Laura gradually gains Jill’s confidence, we learn who the intruder was and what he was doing there. This was no mere burglary. Beneath the apparent simplicity of the circumstances lies a tale in the Gothic tradition. Imagine if one simple act could leave you cursed for life. All your loved ones will die. First. Then your friends. Then your acquaintances. There is only one way out, but that means someone else’s life will suffer. Would you sacrifice yourself? Would you sacrifice someone else? The Box is available for production. To enquire about rights or further information, please use the form on the Contact Us page.